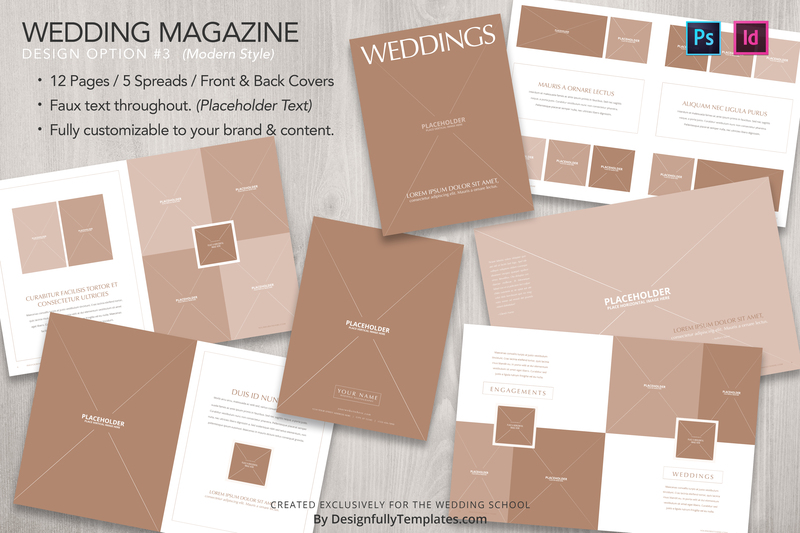 Developed by wedding photographer Susan Stripling, and created by Designfully Templates, this easy-to-use Marketing Magazine for wedding photographers template will help you create a tangible marketing product quickly, efficiently, and beautifully! 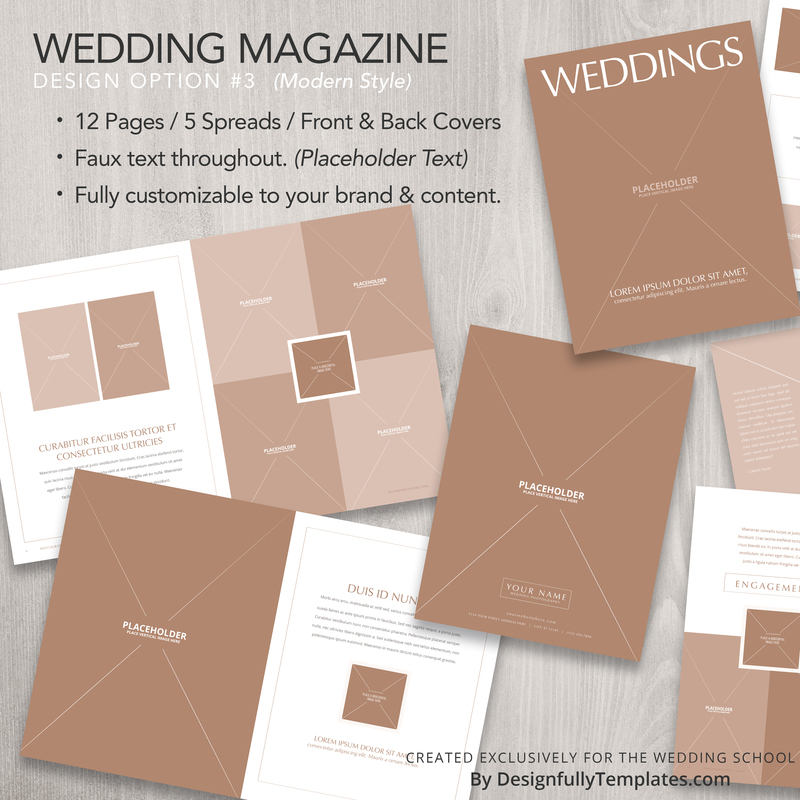 A wonderful addition to our template family here at The Wedding School, we believe this will be the newest piece of marketing materials that your business cannot live without! 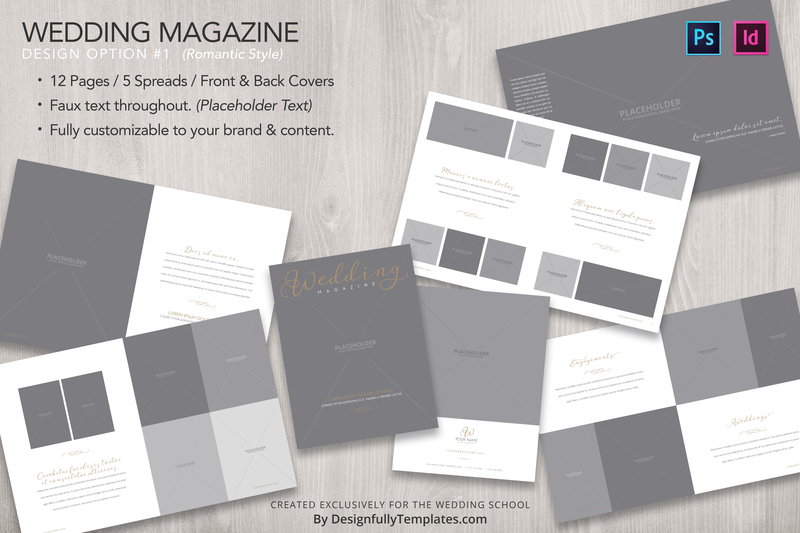 This incredible Marketing Magazine for wedding photographers template will help you create your newest piece of promotional materials with ease! It’s not enough to have a great website, a fantastic social media presence on Facebook and Instagram, and phenomenal word of mouth. You need all of those things, yes, but adding a tangible, physical product to your marketing lineup will help in immeasurable ways. 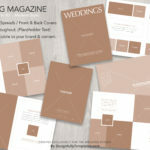 Developed by wedding photographer Susan Stripling, and created by Designfully Templates, this easy-to-use Marketing Magazine for wedding photographers template will help you create that product quickly, efficiently, and beautifully! 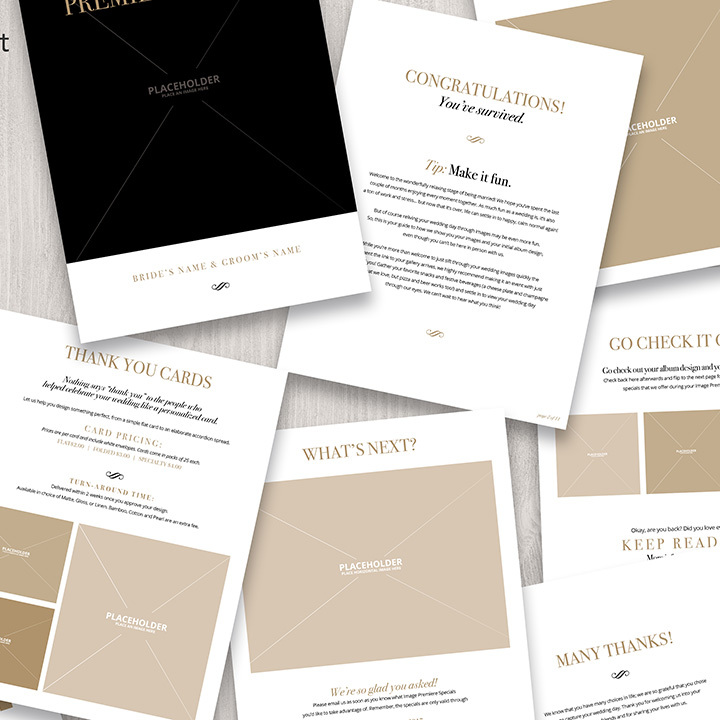 A wonderful addition to our template family here at The Wedding School, we believe this will be the newest piece of marketing materials that your business cannot live without! 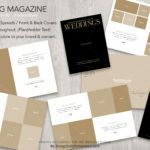 What is the Marketing Magazine for wedding photographers? 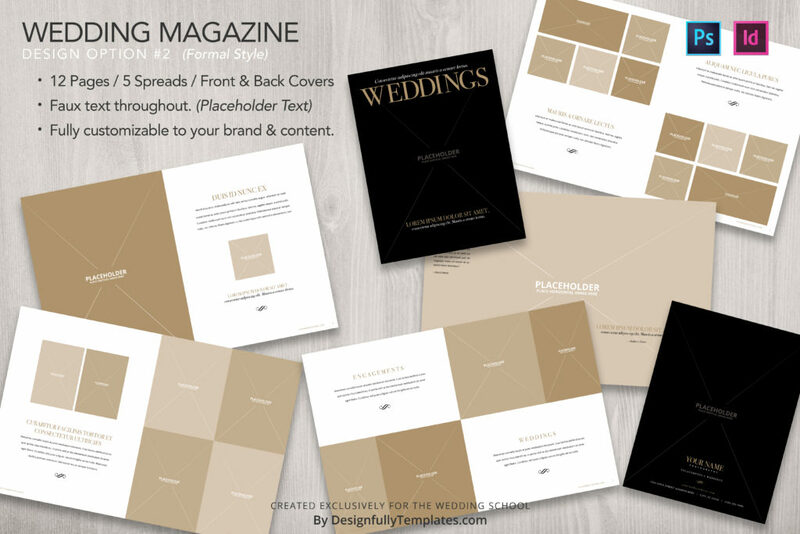 Simply put, the Marketing Magazine for wedding photographers is a template to help you create an elegant, efficient, lovely piece of marketing materials. 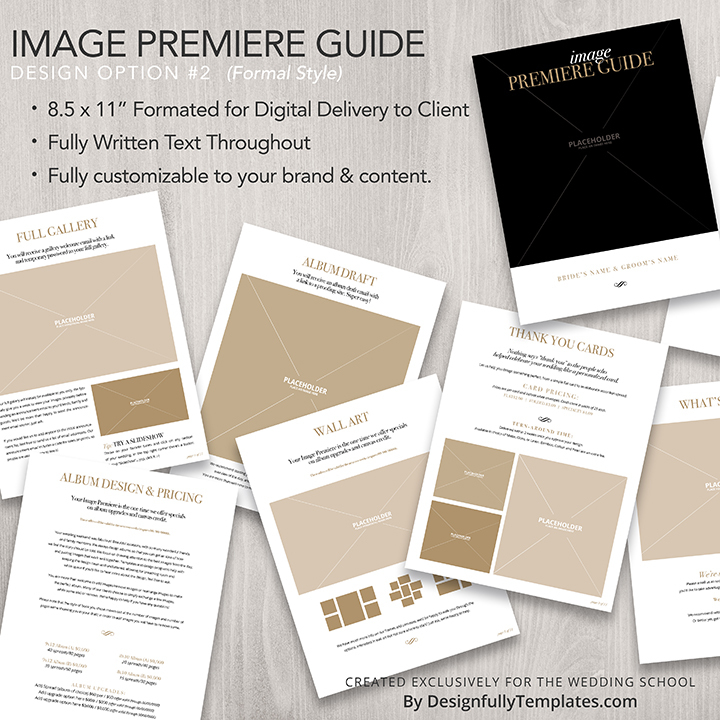 You will receive InDesign and Photoshop templates, so that you can customize your own Image Premiere Guide in the way that works best for you! You can have them printed, or you can simply process them as PDF’s that you email directly to your clients. Sent to coordinators, venues, florists, and other wedding vendors to share with their clients and referrals. Instructions on how to use the InDesign and/or Photoshop PSD files. If you’re unsure about how to place the images, change the text, or put the layout together, the included PDF will teach you everything you need to know! You will also receive instructions on how to save as a multi-page PDF, how to prepare the files for print, and more. Photoshop PSD and InDesign versions of the templates. Prefer to work in Photoshop? No problem! Love InDesign? We’ve got that, too! Previews of each design for easy reference. Three unique design styles. 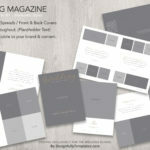 You won’t just receive one version of the Marketing Magazine for wedding photographers. You’ll receive three! There is a Modern style, a Romantic style, and a Formal style. Choose the one that best fits the look of your business brand, and start designing!